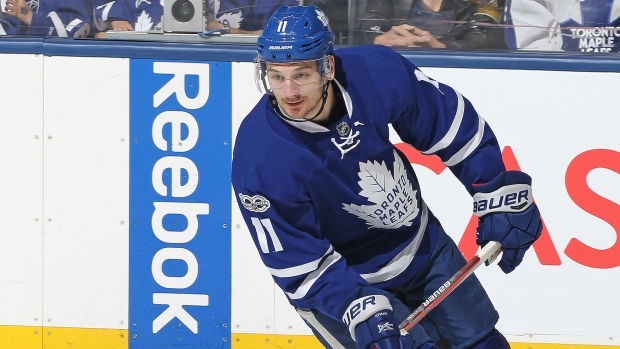 TORONTO – Toronto Maple Leafs winger Zach Hyman exited Friday’s preseason game against the Buffalo Sabres late in the second period with a hip pointer injury. He did not return to the game but the issue isn’t expected to be serious. After the collision that caused the injury, Hyman sat out his next two shifts on the Leafs’ bench before retiring to the dressing room. Friday marked Hyman’s second appearance in Toronto’s exhibition schedule after debuting on Tuesday in the Leafs’ 4-1 win over the Ottawa Senators. Hyman has been skating on Toronto’s projected top line with John Tavares and Mitch Marner. In Hyman’s absence, Josh Leivo and Connor Brown rotated through the top two lines in the Leafs’ 5-3 victory at Scotiabank Arena. Now in his fourth season with the Leafs, Hyman hasn’t missed a game since becoming a regular in Toronto’s lineup at the start of the 2016-17 campaign. Over the course of 180 NHL games, skating predominantly on the flank of star centre Auston Matthews, Hyman has produced 74 points (29 goals, 45 assists).